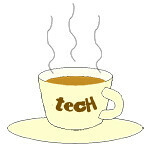 Equinix « Tech bytes for tea? Equinix has introduced the Equinix Marketplace, a new service that enables any company with a presence in any Equinix International Business Exchange (IBX) data center to quickly find and directly connect to a global value-chain of more than 4,000 potential partners, customers and suppliers of digital services. Equinix Marketplace soughts to help companies more effectively reach new customers, offer new services, and connect to members of their digital supply chain to improve application performance, reduce cost and generate revenue. By creating a custom profile and storefront in the Equinix Marketplace, sellers of services, ranging from network connectivity to private clouds to alternative trading systems, can drive sales by promoting their services to other participants—thousands of potential customers or partners that are a simple cross-connect away in Equinix data centers. “AboveNet is excited about the opportunity to participate in the Equinix Marketplace. The Equinix Marketplace provides AboveNet an additional marketing channel to reach prospective customers to deliver our low latency High Bandwidth Connectivity solutions to Equinix facilities,” said Nick Ridolfi, senior vice president of sales for AboveNet.Currently, the vertical ecosystems inside Equinix data centers include companies such as Bloomberg, Verizon, Syniverse, GoGrid, and Abovenet. These companies are already connecting and doing business with customers and partners that are also inside Equinix, and now the Equinix Marketplace makes it even easier to do so. Platform Equinix is home to ecosystems containing thousands of digital-driven enterprises including more than 700 cloud and IT service providers, 675 high-performance backbone and mobile networks, 450 online media, content and advertising destinations, and 600 electronic trading and financial market participants.